This 16-page journal is the student's hands-on tool for learning and making meaning of the Hotza'at HaTorah. This 16-page journal is the student’s hands-on tool for making personal meaning of the Hotza'at HaTorah. 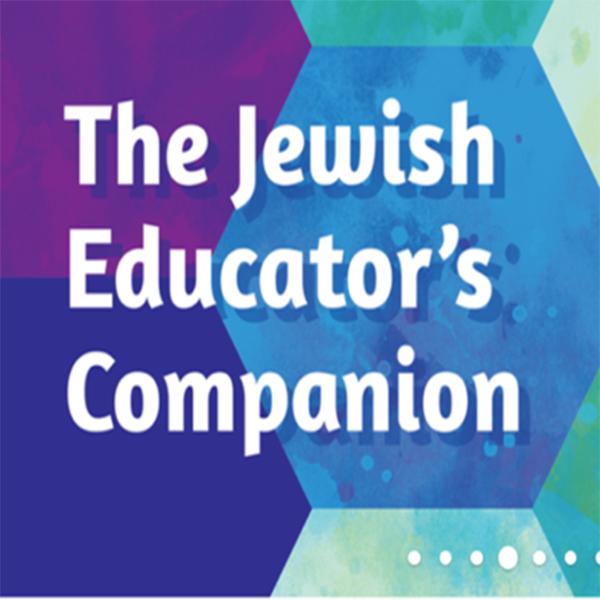 It includes Hebrew prayer reading practice, drawing and other reflection activities, music interpretation, and a variety of prompts for personal relevance. Three “Hebrew Helpers” pages reinforce reading, vocabulary, roots and prayer concepts. Each journal ends with “My Musical Journey”—a summary and assessment page. In addition to its use as a skills-building and reflection tool, the journal can serve as a record of progress and is an excellent way for students to build a portfolio of their work. Use the student journal in conjunction with the digital companion for a complete learning experience—all driven by the essential Curriculum Core. Hebrew in Harmony is a modular program—you can choose which prayers to teach, and in which order. You have options for purchasing: The digital app, which includes all 22 prayer modules: $9.95 per student for a 12-month license. Add on the individual prayer journals, as you choose. Individual prayer journals: $2.95 each for a 16-page print journal. What you choose depends on which prayers you want to teach. Curriculum Core: $59.95. Includes teaching materials for all 22 prayers in the series. Comes with a 3-ring binder. What resources are available for introducing Hebrew in Harmony to my teachers or parents? We have developed a PowerPoint presentation you can share with your staff or community to explain the program. Note that there are "talking points" at the bottom of many of the slides. Click here to download the presentation, "How to Present Hebrew in Harmony"
What resources are available for teaching Hebrew in Harmony? The best place to start is with the Curriculum Core, which covers many elements of how to teach with Hebrew in Harmony. What are the technical requirements for Hebrew in Harmony digital companion? Internet connection to sign in, open a new module, and for teachers to assess progress. App can be used offline at all other times. Log into your educator's account at behrmanhouse.com/PlayLearn. Then enter your school’s OLC and add Hebrew in Harmony to a class. How do I access the Hebrew in Harmony digital companion? Download the app from the App Store. Students log in using their OLC email and password. This associates the user with the license. 3. After logging in, you will see the learning app. Where is the music for Hebrew in Harmony? All the music for the series is in the digital app. Music for each prayer includes a traditional melody plus 3-4 musical interpretations of the prayer. What can I do if Hebrew in Harmony teaches a different prayer melody from the one our congregation uses? If the traditional melody in Hebrew in Harmony is not the one your congregation uses, you have the option of adding a custom audio or video recording with your own melody. Be sure to try out the digital component, download a complete student journal , and view sample pages from the Curriculum Core. If you still aren’t sure, get in touch with us to request a 15-minute demonstration.